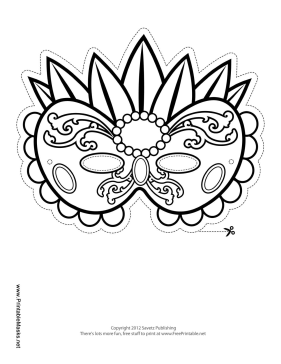 This very fancy Mardi Gras mask has feathers, jewels, and decorative edging to be colored in. You can enjoy the Mardi Gras parade in style behind this custom mask. This mask is free to download and print.